You are here: Home / z / What is the Gospel? You don’t have to believe the entire gospel to receive eternal life. And even if you believed in the gospel, you might not be saved. Do such statements shock you? When most people today hear the sentence “You must believe the gospel to be saved” what actually goes through their mind is this: “Here are the things you must believe in order to go to heaven when you die” (And of course, everyone has a different idea about what we must believe). So people are often shocked to learn that the biblical word “gospel” (Gk., euangelion) means way more than what a person need to believe to receive eternal life. Similarly, the biblical word for “salvation” (Gk., sōteria) has very little to do with going to heaven when you die. To see what each word means, we will look at the word “gospel” in the next couple posts, and the word “salvation” in a few posts after that. And although “gospel” almost universally today refers to good news about forgiveness of sin and the offer of eternal life through Jesus Christ, the word itself carries no such connotations. In ancient and biblical times, the word is often used regarding things like children who recovered from sickness, a battle which was won, or a successful trading voyage (See my article on the gospel where I document this in more detail). 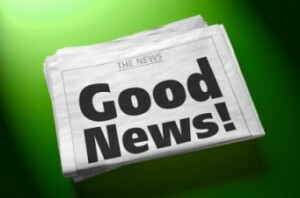 Just as the words “good news” can refer to almost any sort of happy event or positive outcome today, so also, the words “good news” or “gospel” could refer to almost anything good in biblical times as well. In the New Testament itself, though, the phrase “good news” or “gospel” has a more focused meaning. Though it can sometimes refer simply to an encouraging message (1 Thess 3:6), and Jesus often used the term to describe the coming of the Kingdom of God (cf. Matt 4:23; 9:35), Paul is the one who used the word in his writings, and he uses the word most often in reference to describe the complete chain of events regarding what God has done for sinful humanity through Jesus Christ to provide eternal life for them. And when I write “the complete chain of events” I mean the complete chain, beginning with God eternal love for humanity, including the creation of mankind and their subsequent fall, and going through God’s calling of Israel, His work through them during their checkered history, the birth, life, ministry, death, resurrection, and ascension of Jesus, and looking forward to the return of Jesus and the new heavens, the new earth, and our eternal existence with God. The biblical “gospel” includes all of this. Every bit. While the term gospel is a non-technical term for any good news, the NT usage seems to define it as good news for everybody, whether Jew or Gentile, believer or unbeliever, regarding the benefits and blessings which come to us from the person and work of Jesus Christ. It includes everything from “the eschatological expectation, the proclamation of the [kingdom of God] … the introduction of the Gentiles into salvation history, [and] the rejection of the ordinary religion of cult and Law.” This gospel contains everything related to the person and work of Jesus Christ, including all of the events leading up to His birth, and all the ramifications from Christ’s life, death, and resurrection for unbelievers and believers. (see p. 50 of my article on the gospel). 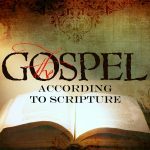 So what is the gospel? It is everything about Jesus. Have had this very same discussion so many times with evangelicals who want a list of propositions that one must simply check off in order to be saved. I appreciate your take on this, and I agree that the Good news is all of it, from the fall to the final redemption. I am also of the opinion that one does not need to know or understand all of the Gospel in order to be “saved”. Just want you to know I am still hanging around and reading your posts. Love you, brother. Thanks, FedEx. I know you are on the front lines in all of this too. Keep up the good work, my friend! I find this helpful. I have some reformed friends who equate the gospel with penal substitution, to question that doctrine is to question the gospel and in their eyes make one ‘unsaved’ this makes no sense to me at all. We are not saved by man made doctrine or prepositions. The gospel is far bigger than psa and saving faith far deeper than theological understanding. amen! I feel like I’m butting my head against a brick wall when I say anything like this. I don’t think we as simple humans can hope to fully understand what exactly transpired at the cross, but something amazing did, and surely thats enough. Exploring theologically what happened is fascinating and can be helpful but its not the basis of salvation in my book. Right. Of course, one’s view of the atonement affects one’s view of God (and vice versa) and so is important to study and learn, but neither is the basis of whether or not one has eternal life. The gospel is more encompassing than just a personal salvation message (western Christianity often focuses too heavily on individualism) and this definition reminds me how broad the impact was of Christ’s time on earth. The daily act of ‘working out my salvation’ is more than just believing a statement of personal redemption; it’s about partnering with God in the things that were important to Jesus. Why complicate something so simple? “believe and be saved” period. Nothing else need be considered. What exactly must we believe? It is not complicated Jeremy, you are over-thinking things again. I know where you went to school and I know some of the same men that you know so please don’t complicate things things any further. I reject most of what I learned at the schools I attended, so if you are assuming what I believe based on the schools I attended, you are way off on your assumptions. Regardless, I believe that receiving eternal life is extremely simple: all a person has to do is believe in Jesus for it (John 3:16; 5:24; 6:47, etc). But this is not the same thing as salvation, as a quick glance through any concordance will quickly show. So I am not complicating things. I am seeking to clarify. I have often wondered how many people sitting in the pews hearing the preacher use words like “gospel”, “saved”, “faith”, etc., have the same understanding than the preacher. You have taken on a valuable road in discussing the meanings of these terms. Your second last paragraph gives a simple summary. As a thought in passing: how many preachers (especially on television) preach the gospel of the Kingdom of God and how many prefer to preach the anti-gospel of the antichrist all the time? Many years back pastor Francois van Niekerk of Hatfield Christian Church in Pretoria referred to some who would have him preach more about spiritual warfare. His reaction was that he would focus on preaching Jesus, and the spiritual warfare would be taken care of in the process! MIke, I like that. I listen to Bruxy all the time. The Gospel is SO MUCH MORE than just how to go to heaven when we die. Well said! Jesus has the full gospel. Everyone else just has a partial understanding. That is quite humbling. Yes. Humbling in part because it reminds us there is always more to learn as we follow Jesus. You are DECLARED holy and righteous for Jesus’ sake! Nothing left for you ‘to do’. My father has kept telling me I need to check out this blog. After attending a Church of Christ for a few years and then a church which has heavy leaning’s towards Lordship salvation, I have come to a similar conclusion, which I believe you have obviously come to Mr. Myers. I have admittedly not read or studied all of these individuals works, but believe I have a good grasp of the theology and matters that are overall asserted by these gentlemen. I would not say that I agree with any of them 100% and would like to ask/bring up a topic for discussion in order to try and further my own understanding as well as get input from others. The one matter that I potentially have difficulty with is how far Zane Hodges and Bob Wilkin take their understanding of salvation to a point in which Jehovas witnesses and Mormons would be Saved from hell as well, by the simple believing on Jesus. Perhaps this point is addressed elsewhere in your blogs, and if so I apologize. In Romans 1:16, It defines the Gospel as having the Power to save. And I believe the heart of the Gospel is what The Bible says it is in 1 Cor 15. Do not get me wrong, I believe there are Justified (Saved from hell) individuals amongst Jehovah’s witnesses, mormons, name your cult etc… Whom are confused or just may not have a full understanding of who Jesus is, but I might posit, that not having a full comprehension of the Trinity or Jesus being fully God and Fully man, is different from denying it. I am not a Greek or Hebrew scholar, and have been trying to potentially understand the full context of Romans 1:5, Romans 10:16, and 1 Cor 15. I feel as if the “obedience of faith” that is being discussed directly links belief in the Gospel account (Or I will say the heart of the Gospel account, since you view the gospel as the full life and works of Jesus. I may agree with you there to some degree, but I do think 1 Cor 15 makes a definite distinction), as the means of Justification salvation (I would quantify belief here, as the agreement of the fact of Jesus death for ones own personal sins (Understanding one is a sinner and needs a savior) on the cross, That he was buried, and was raised to life on the third day) . I link this with what I believe the Heart of the Gospel is according to 1 Cor 15, which says; Now I make known to you, brethren, the gospel which I preached to you, which also you received, in which also you stand, 2 by which also you are saved, if you hold fast the word which I preached to you, unless you believed in vain. 3 For I delivered to you as of first importance what I also received, that Christ died for our sins according to the Scriptures, 4 and that He was buried, and that He was raised on the third day according to the Scriptures, 5 and that He appeared to Cephas, then to the twelve. 6 After that He appeared to more than five hundred brethren at one time, most of whom remain until now, but some have fallen asleep; 7 then He appeared to James, then to all the apostles; 8 and last of all, as [d]to one untimely born, He appeared to me also. 9 For I am the least of the apostles, and not fit to be called an apostle, because I persecuted the church of God. 10 But by the grace of God I am what I am, and His grace toward me did not prove vain; but I labored even more than all of them, yet not I, but the grace of God with me. 11 Whether then it was I or they, so we preach and so you believed. I think that (and this is where I would like input from a greek scholar) Romans 1:5 and Romans 10:16 link belief as a agreement of the report, and then also links belief in the Gospel report as obedience, which would then be for lack of a better term- the lowest common denominator of faith. This would help settle the argument in the lordship salvation vs. free grace debate in my mind, because it would show that belief in the Gospel account is accredited as obedience. Rather then trying to combine faith/works/and obedience together, as is commonly taught in reformed theology. With so many verses in the Bible dedicated to false preachers,I think that it has to be clear that there is a distinction between believing in a name for salvation, and believing in a person. Do not get me wrong I believe there is great power associated with Jesus name, but who he is has to be behind that name. Other then that I would be willing to bet that our understanding of works/ rewards in regards to James 2, 1 Cor 3, 2 Cor 5, etc.. Would probably be very similar. You are reading some good books. I have not read that one by Faust, but I highly recommend all the others (which I have read). I think they have a good grasp on what the Bible teaches about eternal life, the “gospel,” the word “saved,” and the difference between eternal reward and the gift of eternal life. I almost forgot: a while back I received a regular newsletter from a reformed/puritan book distributor. Apart from describing full/hyper preterists as damnable heretics, it also had a quote from Charles Spurgeon stating that Calvinism is the Gospel, and the Gospel is Calvinism. Another of their newsletters carried the topic “Why God wills the church to be persecuted”. Good News? Yes, that is a popular quote from Spurgeon. I quote it in a different blog post in this series, along with others who say the same thing. I believe we over complicate the message of the good news of Jesus Christ because the message has to be simple enough that a child can understand and receive it.That is why i like the verse in romans 10:9-10 that if you confess with our mouth that Jesus is Lord and believe in our heart that God raised him from the dead,you will be saved. The Biblical term “Gospel” has a long history through out the development of western language. In fact careful research of “gospel” uncovers that two words have been put together. The words are God and spel. God has long been used as it is today. Spel referred to a message. Ordinarily it was a message such as a sent word. “Gospel” came to mean “God word”. Biblical scribes and printers were careful to bring forward the word “gospel”. Though they had terms like “good news” and such they were less meaningful than “God word” – “gospel”. Substitute the thought of “God word” when you read “gospel” and you may find new clarity and understanding of the Holy Word. Great! This is exactly what I argue in my online course “The Gospel According to Scripture.” Well done!